screens. Now, the channel has got into pacts with couple of unreleased films. finalization. The film produced by Sakthi Sangavi and Mohan Sangavi under the banner of Chola Creations was completed before a very long time. Finally, the film hits screens on March 12 with moderate prints across the state. We have been seen a lot of advertisements of Dillu Dura. What is is? A new Movie? A new TV Serial? Its none of these, instead it is a social awareness campaign aimed at encouraging people to clear their misconceptions about AIDS and go to Nambikai Maiyam for counselling & testing. The concept of Dhillu Dura has been conceived by N&D Communications and executed by JD Jery. The teaser advertisements has Choreographer Ramji as ‘Dillu’ Dura. After ‘Pulli Raja’ it is now ‘Dillu Dura’. These characters represent the common man who has doubts about the HIV. They have limited knowledge about HIV and are not sure how it keep at bay such ailments. The hero of this teaser Dhillu Dura hits the screen with all the fanfare of a mass film hero. He is the cynosure of all eyes when he dances into the market in his inimitable style swinging his belt buckle, kicking pots and raising a ruckus as people rush to get out of his way. The curiosity in the audience is provoked as they would wonder if this is the promo for a new film. The teaser strongly drives the message that Dhillu Dhura is coming. It would finish with the super Yaar Indha Dhillu Dura? This would raise the level of curiosity about the character as the audience waits for the next. The second version of this teaser focuses on building up curiosity about Dhillu Dura to a greater crescendo. Dhillu Dura’s is a fearless character and a risk-taker who is ready to dive into any kind of adventure without thinking twice. Each of his actions signify the beginning of some terrifying action. When he ties his scarf on his hand, it means it’s a hunt for women and when he ties it on his head, it means he’s going to kill. The first two versions of the teaser would have firmly established the character of Dhillu Dura and this is a step forward. While the previous teasers show him as extremely self-confident and sure of himself, this reflects a total contrast in mood. The people whom he teased now call him Dullu Durai. He seems confused about something and consults everyone from a Killi Josiyam palmist, to a Guduguduppukaran (Fortuneteller) to a quack doctor. Yet, he does not get his answer. The Super is Dhillu Durakkey Kulappama? The audience gets more curious to know the identity of Dillu Dura and what he is confused about. The revealer shows Dhillu Dura initially as onfused but receiving guidance from his teachers. Based on this, he is shown going to Nambikai Maiyam (ICTC) to clear the confusion he is facing. Shots of the counselor are shown and it finishes with Dhillu Dura emerging triumphant with the super Dhillu Dura ippo thelivuthurai ayittaru. The concept of Dhillu Dura has been conceived by N&D Communications. Headed by M.Nachiappan, N&D is an integrated communication agency that offers services offers in the areas of Branding, Technology, Rural Marketing, Market Research and Events. They have been behind the successful campaigns of brands like Power Soaps, Kalaignar Kaapittu Thittam, Repco Bank, CADD Centre, Sangam Hotels and so on. The execution of the concept was done by JD Jery of JJ Media Park who brought alive the character of Dhillu Dura onscreen with aplomb. The visuals communicated the message clearly in a way that appeals to the target audience. They have worked for a wide range of well-known brands in jewellery, fashion stores and FMCG Products. We appreciate Dance Director Ramji for playing the lead character and enthusiastically agreeing without even asking for the script once he knew that it was for a social cause. 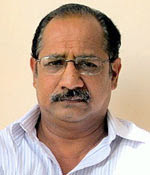 He has done a wonderful job playing the character and also choreographing the dance sequences. Dhillu Dura is all set to leave his mark across Tamilnadu and spread the AIDS awareness message. A scene from Yamirukka BayamaenWhen the serial was telecast, viewer reaction was intense. Did you have any idea about the cult-status the serial would achieve? Those experiences were the reason I began delving in the subject in earnest. My grandmother was very fond of me when I was young. Many years later, one night, when I was in Madurai [ Images ], my wife woke me up at midnight. Apparently, my grandmother had arrived and was standing at our doorstep. I opened the door, but there was no one. My wife swore that she had seen her. Half an hour later, I received a phone-call: my grandmother had died at 11 pm. 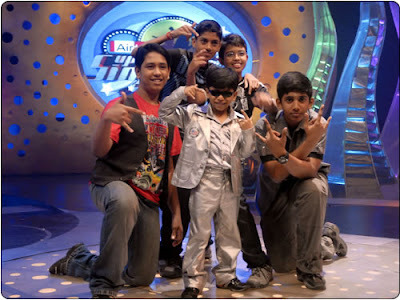 The final 10 contestants are all that are left to vie for the top spot at the Airtel super Singer Junior 2 contest. With the elimination rounds over, Sharad, Shravan, Prasanna Sundar, Srikanth, Roshan, Priyanka, Srinisha, Nithyashree, Sahana and Alka are now left in the race. The judges for this event are singers Naresh Iyer and Suchitra. Catch the kids in action from March 08 – March 11, 2010 at 9pm! Kadhai Alla Nijam, Season 2 ?? Kadhai Alla Nijam, Tamil Nadu's first live reality show, is all about real events, real people, real emotions and real judgments. Produced by K Balachander's Min Bimbangal and hosted by the much-admired actress Lakshmi, this programme unfolds real incidents that have occurred in the lives of people, who then share these emotional moments. The show, which has fearlessly exposed and brought to light hitherto unmentionable and taboo subjects like homosexuality, widow re-marriage, adultery, physical and emotional abuse at the work place etc, has also acted as a redress forum for many of the victims. Since the day of its inception, Kadhai Alla Nijam has stirred emotions, awakened consciences, set the viewers thinking and made tremendous impact. In each live episode of the show, a particular case is chosen and the issue is established. Once the issue has been established, those involved with it will be featured on the show. Kadhai Alla Nijam will be soon be back for a fresh new season in Vijay TV and I am sure we all will be eagerly waiting for the same..